SKU: SCbat. Categories: weed vape pens, Full Profile, Refill. Tags: hardware, Vape Pen, vape pen battery. The peanut butter to the South Coast jelly. We have been waiting for this day for a long time. 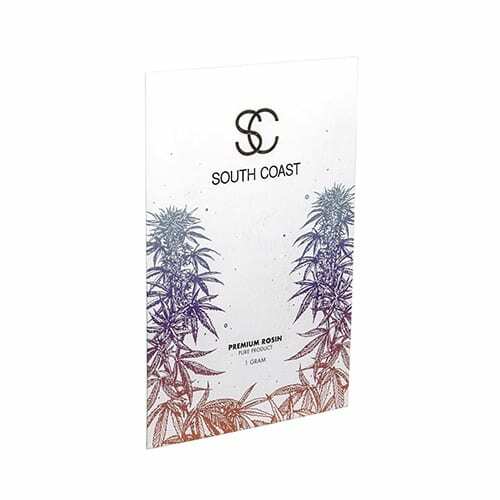 The South Coast Variable Cannabis Vape Battery has finally re-stocked. After a long time of working closely with top cannabis vape battery pen manufacturers, the South Coast custom batteries are now ready. If you have been vaping the South Coast cartridges with other batteries, the true experience is held within this battery. The hardware is the key to an amazing cannabis vape experience. If you are buying South Coast cartridges please only use this battery! They were made for them. 3.3v - used if you would like to optimize the taste. 3.8v - used if you would like to optimize taste with a little harder hit. 4.3v - used if you would like to get an even harder hit. 4.8v - used for optimal hits and taste. Each pen comes with its very own charger. To turn it on you click the button 5 times quickly and to turn it off click the button 5 times quickly again. Hold down the button while you inhale. When portable vaporizers first came to market, we were less concerned with its function and features, and more enthralled by the fact that there was a new way to get high on the go but now because there are so many options in the market, it is time to really focus on the functions and features. 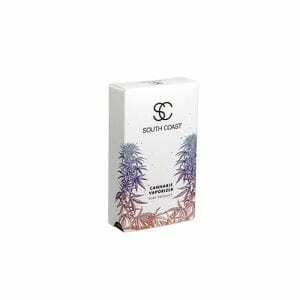 The South Coast Variable Cannabis Vape is guaranteed to give you the best experience possible. I love it ! I highly recommend ! I ordered this pen a couple days ago and 2 different south coast cartridges, both my cartridges tasted good for about 2 hits then they started to taste burnt. My Girl Scout cookie tasted like burnt dabs, and my grape kush tasted like vapourized weed. I have been trying all the settings on the pen and nothin will bring back that taste. I ordered the toko pen and received it today and it still tastes good after 15 or so hits so far. I would not recommend this battery to anyone and will not be ordering a south coast product again because of it. Both Girl Scout Cookies, and Grape Kush are Toko strains. Perhaps those ones were meant to be smoked by the Toko vape. Hey Marcos, South Coast carries those strains as well. 1. Variable strength to accommodate different usage and moods. 3. i have multiple cartridges each for different occasions and situations. i love the fact that i can switch easily between them. 4. it looks good and makes just enough smoke to give me the confidence that i had enough but not to produce to much smoke as to emabarase me in public. its just right. Just received this pen. Nice to have this and the Toko Gold for variety. 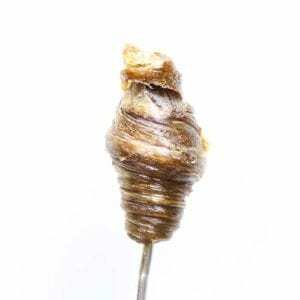 Nice small footprint, easy/fast to charge, get some great flavors by backing the heat off. SHOULD HAD ONE YEARS AGO! Wow, with a Greasy Pink Bubba cartridge, unreal, 2 quick pulls is all one needs, this thing is like sliced bread, nice. This battery pen rocks the KISS theory beautifully — it’s all about keepin’ it simple stupid, it’s so basic to use and works like a charm without fail everytime! Came already charged, didn’t read the directions on the site right away so it took me a minute to realize you need to click five times to turn and off. Really liked the variable temp and noticed a difference in taste when vaping at a lower temp. holds charge really well. does the job! This battery is a great addition to Southern Coast’s vaping product line. The voltage (read “heat”) settings are adjustable anywhere between the top and bottom ranges, not just at the recommended voltages, allowing for truly custom vaping. The battery uses a standard screw arrangement allowing you to use cartridges from other manufacturers eg. Toko which greatly expands the number of strains available to the user. The battery comes complete with a USB charger. The battery charges quickly and seems to hold a charge for a good long time. The battery is pleasing to look at and feels good to hold. It appears well machined with good fit and finish and is simple to use. I would like to see three revisions to this product. The first would be an auto-off feature which would eliminate forgetting to turn off the battery when finished vaping, something I have done a number of times. Finding a dead battery when you next go to use it is a little frustrating. The second would be a small power-on indicator to let you know if the thing is turned on. Vaping when you have just turned OFF the battery thinking you had just turned it ON doesn’t work too well. ALL rechargeable batteries eventually lose the ability to acquire a full charge (or to charge at all) and it would be great, and environmentally responsible, if just the actual battery were replaceable instead of having to purchase a whole new unit. Perhaps you already can, I don’t know. These are small complaints and adding them to the battery for the next version is a simple job (I’d pay a little more to have them). They do not detract from the main function of the battery and I would recommend it to anyone thinking of vaping oils; a much better alternative to the single use, disposable pens. This is my first experience with the South Coast refillable system and so far it’s been great. I love the discreet size and worry-free nature of the disposable vape pens for out-and-about, but wanted more bang for the buck and greater reliability. And SC delivered. I got this along with the LA Confidential refill and it’s amazeballs. Lastly, big thanks to Ashley and Dean for taking the time to fully and genuinely explain the refillable options Whitepalm has – which allowed me to make an informed decision. That, along with being quick to sort out and credit me for a malfunctioning disposable vape pen. A thumbs-up for each of you. As so many others have said, this is a great battery to use with a variety of brands of cartridges. The battery definitely holds its charge and needs to be plugged in about an hour for a full charge. One thing I noticed is it doesn’t work so well in the cold. That is just my opinion and I haven’t noticed anyone else saying it. (maybe a user error, lol). As for the lower temps, they do taste better, but I find the cloud almost non-existent at those temps. Overall very happy with this purchase. I just bought the South Coast vaporizer kit and I am so far not impressed, what does it take to get a vape pen that works. My thoughts are this a kit that most beginners would tend to go for. Might be nice if you added an instruction sheet on how to charge the battery, how to use for the first time. I am sitting here with this kit and no way to use it. Here I sit in my place no medicine can someone please, please help me get going. I am not being a complainer I just want my product to work. Linda K.
I took about a year to buy this and I’m so glad I did. User friendly and produces the perfect draw every time. Great product. Battery lasts a surprisingly long time but agree with others, instructions on how to use the battery would have been nice but eventually figured it out. Charges quickly. Cartridges all taste great and hits very smooth. My lungs are much happier now. I bought this Battery over some find on internet, cause i was new on vaping, and try to bought Southcoast reffil, and this battery is more efficient than the Toko one. Battery can still work for like 2 days long, variable adjustement is nice. Nothing compare to real Southcoast purest liquid ever for vape. The Variable voltage is the best and the South coast vape tips are amazing with this battery. My only con is that you have to charge it almost everyday if your a heavy user or on weekends lolz. Keep up the good work! The battery was smaller than i had expected so that’s a plus. Also, note to White Palm–instructions would be VERY helpful. Even though it’s easy to use, it would be nice to know the most efficient way to use it, how to make sure it’s off, when to charge it (and for how long), and the best way to store it when not in use. Awesome pen for a variety of carts, only left 4 stars due to overpriced like most of GWP products. Love the adjustable heat. Very nice build. Nice vape pen with USB charger… well packaged and worked immediately… Excellent pick up! Very slick little battery, light and discreet, perfect for outings. This is the best battery I have vaped with to date. Amazing quality. 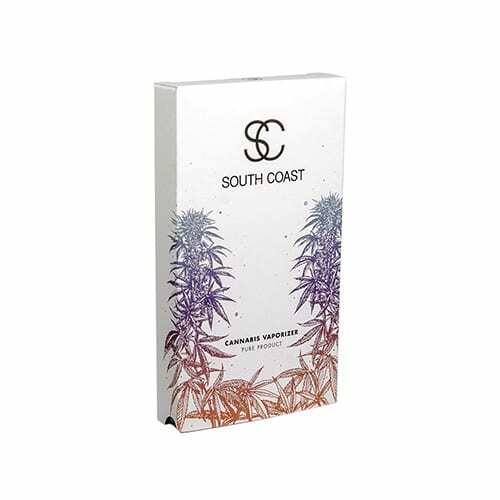 Great with the south coast cartridges ofc but also really good with every other 510 cartridge I have tried! After over four months of regular vaping, i’m still impressed how easy it it to use, how long it holds a charge and how quickly it charges. i’m very happy with this battery. These Rigs are awesome! By far the best unit I have used, if your thinking of getting one get two instead. One to use if one is charging, then you won’t need to wait! This battery is dope. A bit too hot for other oils but is perfect for the South Coast carts! I love the variable temp feature since not all cartridges react the same. Have had for over six months and Never had a problem. Adjustable setting is great for dailing in your taste preference, lower setting gets the best taste results and higher setting give massive hits. Great while it worked . Lasted 1 month…and no return allowed. Waste of money…return policy is terrible. I’m reconsidering ordering from this site. Love the fine-tunablity of the strength to this battery, much easier to turn a dial than the toko pen’s tapping around to adjust heat settings. Seems to charge fast and last a long time. I’ve forgotten to turn it off and it was still ready to pack a punch when i reached for it. I like the button-activation vs breath-activated only bc you can clear whatever is left wherever it is in the chamber. Buttons on both of my 2 units seem kinda wobbly, but don’t think it gets turned on by accident when in my pocket/bag. This battery is super versatile with the voltage selection to get the best out of your cartridges. I found that you really did notice the flavour and size of the hit when you adjusted from 3.5v all the way to 4.5v. As an already big fan of SoCo this battery is a must have for their cartridges. Great little battery, has variable Temps and last for days. It was great while it lasted, but after only a few months of use it stopped accepting a charge. Only a 5 day warranty too, which is far too short. Does the job, good purchase. no complaints. Works great and is easy to use. Came charged,worked great. Would recommend. This pen is so cool, it’s nothing like the picture. Its silver and so thin. I love this pen!!! Its my first time vaping weed, and I cant believe how high I got…. This pen does not come with instructions and also the website for the product does not even show this as one of there products. After searching the web finally figured out how to turn it on and get it works. Battery is good otherwise. He this now for months and it still hasn’t died on me. Great battery! i’ve had two of these for over a year, using them regularly, and have been very careful to keep them charged and safe from accidents. Both of them are working just fine, though one doesn’t keep a charge for quite as long. They’re easy to use and i recommend always choosing the lowest setting. Sleek look. Functions well and battery lasts a long time compared to the time it needs to charge. Buying a second one so I don’t have to change tanks all the time. A bit pricey for a vape pen battery, but its got a nice look and feel to it. Works well. Battery needs to be charged fairly often with heavy use. Works with any cartridge with a 510 thread I believe. I just ORDERED and received the same pen …EXACTLY the same pen in the same package as Whitepalm for 9.99 from a store in Toronto ….